New EASD-ADA consensus guidelines on managing hyperglycaemia (high blood sugar) in type 2 diabetes launched at EASD meeting. Following a review of the latest evidence —including a range of recent trials of drug and lifestyle interventions — the European Association for the Study of Diabetes (EASD) and the American Diabetes Association (ADA) have produced an updated consensus statement on how to manage hyperglycaemia (high blood sugar) in patients with type 2 diabetes. The consensus paper is being co-published in Diabetologia, the journal of EASD, and Diabetes Care, the journal of the ADA, during the annual meeting of EASD in Berlin, Germany. 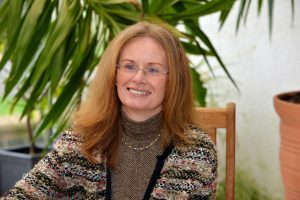 Professor Melanie Davies, Director of the NIHR Leicester Biomedical Research Centre co-chaired the expert panel and is first author on the consensus paper in both journals. Facilitating medication adherence should be specifically-considered when selecting glucose-lowering medications. (Ultimately, patient preference is a major factor driving the choice of medication. Even in cases where a patient’s clinical characteristics suggest the use of a particular medication based on the available evidence from clinical trials, patient preferences regarding route of administration, injection devices, side effects or cost may prevent their use by some individuals). All patients should have ongoing access to diabetes self-management education and support. Medical nutrition therapy (healthy eating advice and strategies) should be offered to all patients. All overweight and obese patients with diabetes should be advised of the health benefits of weight loss and encouraged to engage in a programme of intensive lifestyle management, which may include food substitution. Metabolic surgery is a recommended treatment option for adults with type 2 diabetes and (1) a BMI of 40 or over (or 37.5 or over in people of Asian ancestry) or (2) a BMI of 35.0 to 39.9 (32.5–37.4 kg/m2 in people of Asian ancestry) who do not achieve durable weight loss and improvement in comorbidities with reasonable non-surgical methods. Metformin continues to be the first-line recommended therapy for almost all patients with type 2 diabetes. Regarding medication management, for patients with clinical cardiovascular disease, a sodium–glucose cotransporter 2 (SGLT2) inhibitor or a glucagon-like peptide 1 (GLP-1) receptor agonist with proven cardiovascular benefit is recommended. Individual agents within these drug classes have been shown to have cardiovascular benefits. Intensification of treatment beyond dual therapy to maintain glycaemic targets requires consideration of the impact of medication side-effects on comorbidities, as well as the burden of treatment and cost.